I was pouring over this old gem today. 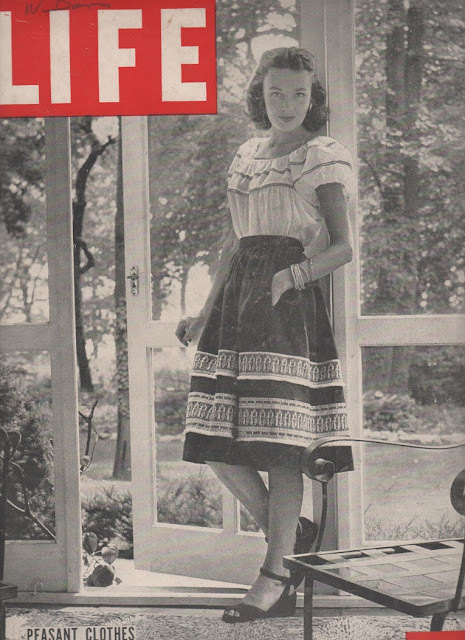 It's Life magazine, July 1944. There is a feature article on clothing and it's control by the War Production Board. The War Production Board was established in the United States to regulate the production and allocation of materials and fuel during WWII. 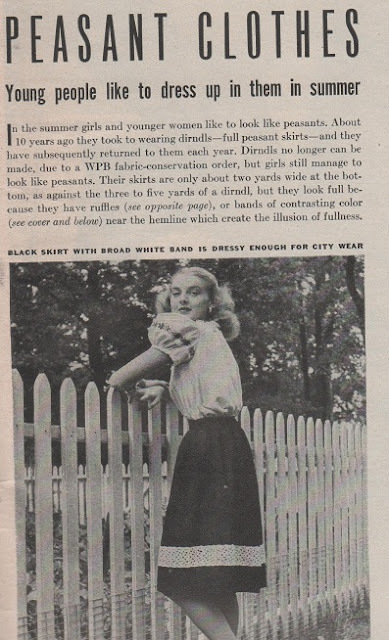 The article says this about the peasant blouse above: "The WPB has ruled that no blouse can have more than one ruffle per sleeve. Technically, this and other blouses like it are sleevless, and ruffles are considered as part of the shoulder decoration." 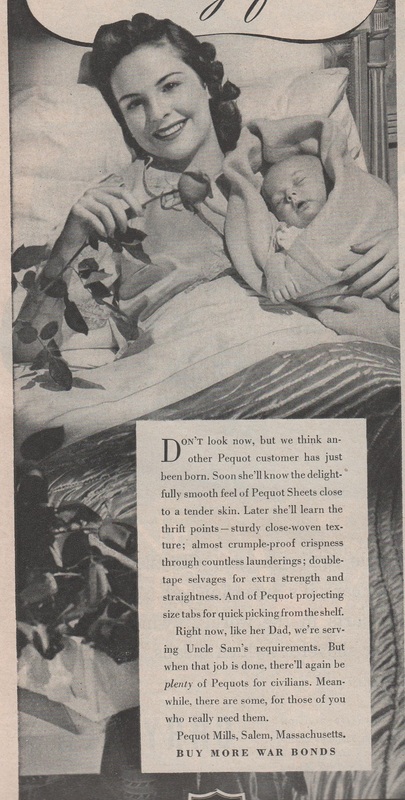 That's a clever way to describe what is obviously a blouse with ruffled sleeves. And gah, what about the apron? Did the WPB send police out to arrest housewives? The ad above is for a brand of sheets that the manufacturer wishes they could sell you, but they can't because they're busy serving Uncle Sam's requirements. The whole magazine is dotted with stories of resourcefulness and days gone by. And so I'm inspired. I will be featuring projects on my blog in the upcoming months called Mend and Make Do. Sounds fun! I love your pictures! Looking forward to what you share with us! My hubby's Oma, before she passed, could mend anything. I've even got thin, well-worn tea towels from her that have been mended. I don't have the heart to get rid of them, although they are so thin now they're almost see-through, because they make me feel guilty for thinking of everything is disposable. She'd have mended the holey socks I throw away every other laundry day!